Lauren Cusimano contributed this story. 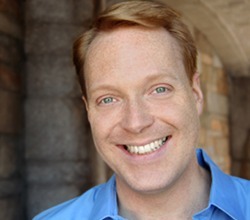 Kevin Allison might be best known as a cast member of The State – the 90s MTV sketch show that needs no introduction even though we just gave it one. However, "Kevin Allison presents RISK!" might be catching up to some of that State fame. Since 2009, RISK! has served as a podcast and live show – playing host to the tagline: “True Tales, Boldly Told”. Allison says the object of RISK! is simple. He asks guests to “try to step outside of your comfort zone,” he explains. “Drop the act, don’t do something you would do every night on stage, and try come clean about some stuff in the way you would with very close friends.” Perhaps the biggest difference between RISK! and other storytelling podcasts is the fact these stories are not rehearsed, and can range from the “super emotional to flat out X-rated,” Allison says before bursting into laughter. Guests of the show have included Patton Oswalt, Janeane Garofalo, and our very own Jesse Thorn. Now, RISK! is in the middle of a critical campaign: Keep RISK! Running. Between now and November 16th, Allison and his staff – a crew of 18 talented people – are hoping to raise $50,000 to keep the RISK! podcast alive. Donation levels range from $10 to $10,000, but the real story is in the prizes. Donate $20 to be considered RISK!’s childhood friend, $75 to be RISK! 's secret fetish, $1,000 to be RISK!’s hero. But the reward isn’t just in the name. Allison has some one-of-a-kind prizes ready for his supporters. Donate $250 and Janeane Garofalo will make you a friendship necklace, $300 and Margaret Cho will give you relationship advice, $500 and Lisa Lampanelli will insult you on Twitter for a full day. Other prizes include autographed posters of Marc Maron, fantasy football lessons from the Sklar Brothers, and autographed, doodled-on State scripts. Allison says he’s been apprehensive of putting on the fundraiser since the idea of asking for money is no one’s favorite, but he understands that it’s necessary. “This whole podcasting phenomena is still so new that it’s very difficult to gauge exactly how to stay afloat doing it,” say Allison. Allison says the real question is what format RISK! might try next.